BleachHouseLibrary.ie: #IrishFictionFortnight - Day 3 - "A Memory of Violets" by Hazel Gaynor. Signed PB to Giveaway. 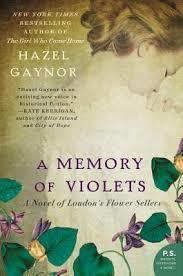 #IrishFictionFortnight - Day 3 - "A Memory of Violets" by Hazel Gaynor. Signed PB to Giveaway. The author of the USA Today and New York Times bestselling novel The Girl Who Came Home has once again created an unforgettable historical novel. Step into the world of Victorian London, where the wealth and poverty exist side by side. This is the story of two long-lost sisters, whose lives take different paths, and the young woman who will be transformed by their experiences. 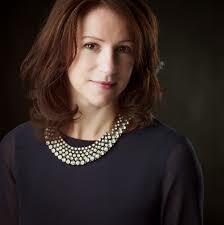 Hazel Gaynor's 2014 debut novel THE GIRL WHO CAME HOME (William Morrow/Harper Collins) was a New York Times and USA Today bestseller and winner of the 2015 RNA Historical Romantic Novel of the Year award. Her second novel A MEMORY OF VIOLETS was selected by WHSmith Travel as a 'Fresh Talent' title and was also a New York Times and USA Today bestseller. Hazel is one of nine contributing authors to the anthology FALL OF POPPIES - Stories of Love and the Great War, which will be published on 1st March, 2016. 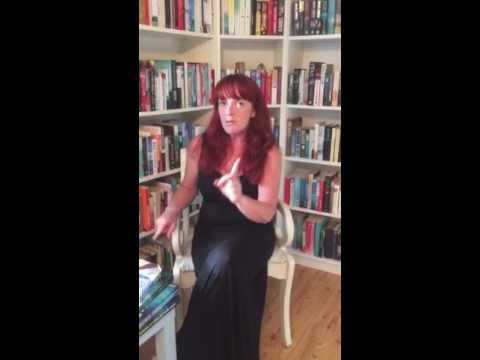 Hazel writes a popular guest blog 'Carry on Writing' for national Irish writing website writing.ie and also contributes feature articles for the site, interviewing authors such as Philippa Gregory, Sebastian Faulks, Cheryl Strayed and Rachel Joyce among others. Hazel was the recipient of the 2012 Cecil Day Lewis award for Emerging Writers and was selected by Library Journal as one of ten big breakout authors for 2015. Originally from Yorkshire, England, Hazel now lives in Ireland with her husband and two children. A Memory of Violets is published by William Morrow and is available in paperback and ebook format. This one's based in Victorian London. I am delighted to be reading Literature based in and around UK, Ire. 'A Memory of Violets' is set in Victorian London. It is set in Victorian London. Victorian London and our imaginations! Victorian London, I can't wait to read it! It's set in Victorian London - one of my all-time favourite time periods! It's set in Victorian London. It's one of my favorite time period to read. Set in Victorian London. I love to discover new authors, so this would be a real treat to win!